Heat coals or gas grill for direct heat. Mix all Pepper Rub ingredients. Lightly brush half of the oil on both sides of beef. Press rub mixture onto both sides of beef. Let stand 15 minutes. Lightly brush remaining oil on onion slices. 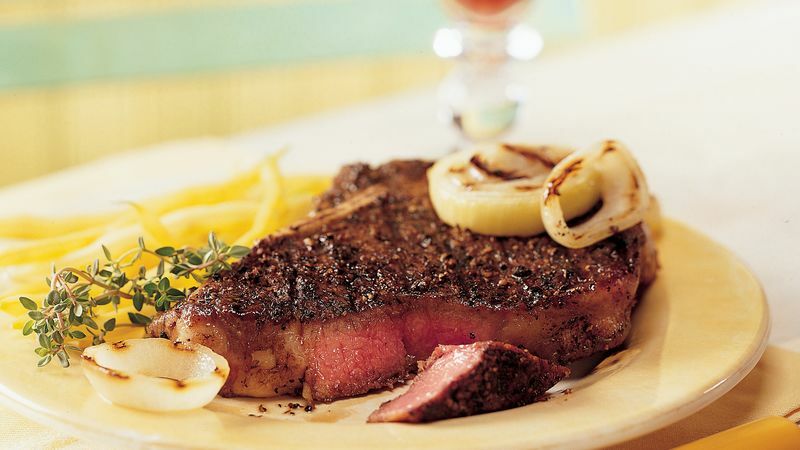 Cover and grill beef and onions 4 to 5 inches from medium-high heat 10 to 12 minutes, turning once, until beef is medium doneness. Brush honey on onions. Serve onions with beef. Add a subtle splash of color and flavor by sprinkling a bit of dried thyme on the onions while they're grilling.